As a prizewinner at national and international competitions he was invited to perform as a soloist with orchestras all over Europe. As a recitalist and chamber musician he performed worldwide. He has recorded more than 40 CD’s. 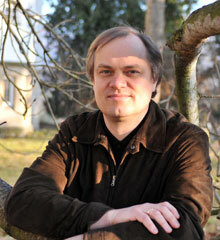 In 2004 he was appointed professor at the Musikhochschule Lübeck. Furthermore he has a cello class at the Hochschule für Musik ‘Hanns Eisler’ Berlin. He was a jury member at international competitions and has given masterclasses worldwide. Troels Svane studied with David Geringas. He was appointed co-principal cellist of the Copenhagen Philharmonic at the age of 18.